B.C. gets the biggest bang out of Canada’s trade with China of any province and has the most to lose as long as diplomatic tensions between the two countries remain high, according to a scholar at the Asia Pacific Foundation of Canada. Tensions were sparked by the arrest on Dec. 1 of Huawei Technologies executive Meng Wanzhou following an extradition request from the United States. In response, China detained former Canadian diplomat Michael Kovrig and businessman Michael Spavor and is holding them without charges. Now, with China taking further retaliatory steps and Canadians approaching China more cautiously, doing new business becomes more difficult, said Margaret McCuaig-Johnston, a distinguished fellow at the Asia Pacific Foundation. …The lion’s share of B.C.’s exports to China are in forest products — lumber and wood pulp for paper, which accounted for $3.8 billion in 2017 — and growing that trade became the first question mark in the Meng affair. A lawyer employed by the British Columbia government is fighting to keep former cabinet minister Rich Coleman from having to testify in a court case underway in Nanaimo. In a … letter on government letterhead, lawyer Darcie Suntjens argued that a sitting MLA can’t be compelled to appear in court while the legislature is in session. Suntjens cites parliamentary privilege, a form of legal protection intended to allow elected officials to fulfil their duties. The legislature… isn’t scheduled to resume sitting until Feb. 12. Coleman, a Liberal MLA, sits in opposition. But Suntjens said …that while the legislature is adjourned, it is still technically in session and therefore Coleman can’t be compelled to testify, even if he is available. A source familiar with the case said the government is making its argument to shield Coleman based on a technicality and that it would be in the public interest to hear what the former minister has to say. DAWSON CREEK – Innovation in the forest industry has the power to advance the development of Canada’s renewable resource economy and create good jobs while combating climate change. Paul Lefebvre, Parliamentary Secretary to the Honourable Amarjeet Sohi, Canada’s Minister of Natural Resources, today announced an investment of $4.5-million towards the $161-million project for Louisiana-Pacific’s Dawson Creek sawmill, which will boost the aging facility’s economic competitiveness and support local forest sector jobs. The funding, which is provided through Natural Resources Canada’s Investments in Forest Industry Transformation (IFIT) program, will support everything from engineering and design work to procurement, construction and start-up of Louisiana-Pacific’s mill conversion. Upon completion, the upgraded facility will: produce 300 million square feet of SmartSide® Lap Siding, an engineered wood siding product that can be used for a range of exterior building applications; create a new revenue stream from underutilized biomass; and sustain 69 direct and 200 indirect jobs. As provincial political parties lay out their visions for the coming years, they know it’s British Columbians who will be rolling up their sleeves and doing the work. A byelection in Nanaimo has been a cause for campaigning and B.C.’s three main parties have different ideas about how to create and sustain good jobs on Vancouver Island. The Island isn’t as forestry-dependent as it once was, but that industry remains a pillar of the economy for large segments. The NDP government’s recently revealed coast forest sector revitalization plan will have some regional impacts. Forests Minister Doug Donaldson recently spoke to Black Press Media about measures to ensure more B.C. processing of logs and fibre. “The forest companies have to make a profit. 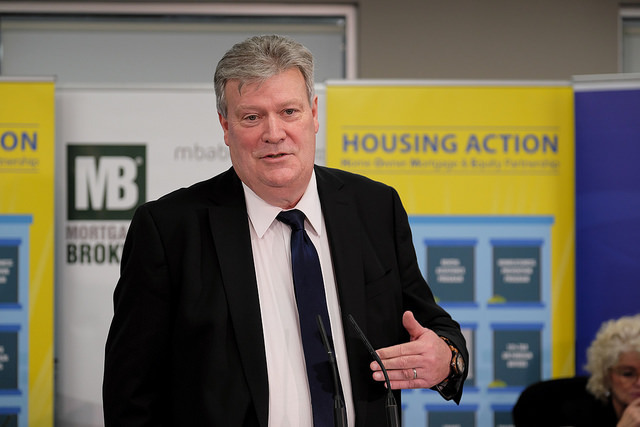 But they’re making a profit off a publicly held resource and we want to make sure that the main beneficiaries of that publicly held resource are the public – the communities and the workers,” Donaldson said. MONTREAL — Canadian National Railway boosted its dividend by 18 per cent after reporting that its revenues surged 10 per cent in 2018 and forecasting another strong year ahead that builds on burgeoning shipments of oil, coal and grain. …CN Rail’s ongoing expansion includes newly expanded rail yards and additional tracks, 1,250 more conductors this winter versus last, and 140 more high-powered locomotives from GE Transport set to arrive in 2019. The expanded port at Prince Rupert, B.C., …offers shippers a swift route to Asia, avoiding the congestion of Vancouver and Los Angeles. …For the full year, revenues for intermodal grew eight per cent, forest products grew five per cent, metals and minerals grew 11 per cent and automotive grew one per cent. Forest products and lumber present potential weak points for Canadian railways, with signs of an economic slowdown poised to hit home starts and car purchases. VANCOUVER – Canfor Corporation announced today it will be temporarily curtailing operations at three British Columbia mills due to log supply constraints, log costs and current market conditions. Canfor’s sawmill in Vavenby will be curtailed for six weeks from February 11 to March 22, 2019. In addition, Canfor’s sawmills in Houston and Mackenzie will be curtailed for one week each in Q1. In combination, these curtailments will reduce Canfor’s production output by approximately 40 million board feet. This is in addition to the approximately 150 million board feet of production capacity that was curtailed by Canfor in Q4 2018 and early Q1 2019, as previously announced. Canfor has 13 sawmills in Canada, with total annual capacity of approximately 3.8 billion board feet. Re: “Preparing for a forest crisis.” I’m sorry to say that the Jan. 26 column by my friend Ralph Surette carried some serious errors of fact. The column double-counted the cost of buying the Bowater lands. There was no “bailout” of Bowater Mersey. There was no massive provincial subsidy of Port Hawkesbury Paper. I suspect that my friend picked up those errors from the usual cyber-exaggerations that compound errors through zeal. Yet these are matters of fact. …The province bought Bowater Mersey (including its forest lands) for $1. The Bowater assets were worth $14 million more than liabilities. …The major asset was the land — though Nova Scotia also got an ocean wharf and valuable industrial equipment. Every detail was duly recorded in audited financial statements. …In summary, the NDP government spent far less than the column stated and much of the spending was not as described. The Milwaukee City Council’s City Plan Commission voted unanimously to approve the rezoning for a project that includes what could be the Western Hemisphere’s tallest mass timber structure, said Tim Gokhman of development firm New Land Enterprises. The project must next win approval from the Common Council’s Zoning, Neighborhoods & Development Committee, Urban Milwaukee reported. The 21-story, mixed-use Ascent residential tower would use cast-in-place concrete for the first five floors and concrete shafts from top to bottom, project architect Jason Korb of Korb + Associates told commission members. The concrete base would be topped by a 15-story exposed mass-timber system that uses steel connectors and that could be installed in as little as four months. Special testing, Korb said, has proven that the system can meet the fire rating of a concrete building and pointed to the self-extinguishing, charring quality of mass timber. Mountain caribou have, sadly, been in the news this month, as it was announced that the last of the females from the Purcell and South Selkirk herds had been transferred to maternity pens in Revelstoke, leaving only three lone males in the mountains near Kimberley. This, says Wildsight, means the herds are functionally gone. …The females will augment the struggling but healthier Revelstoke population, while three males are remaining in the Purcells and no caribou in the South Selkirks. …The mountain caribou, one of North America’s oldest mammals, which are listed under the federal Species at Risk Act, rely on old-growth forests in the mountains of British Columbia. Their temperate rainforest habitat, after decades of logging, mining and intensive recreation, is badly fragmented. BURNS LAKE, BC — The new limit on harvestable timber in the region should be known by mid-fall. …Speaking to a Regional District of Bulkley-Nechako board of directors meeting, registered professional forester Jim Snetsinger gave a detailed presentation on the process of formulating the Annual Allowable Cut (AAC). Snetsinger, the former chief forester for British Columbia, said a public discussion paper on the AAC will be released in late February, after which there’s a 60-day period for public comment. …Provincial legislation calls for a new AAC to be set every 10 years. “In many of the management units around the province, particularly those areas affected by the mountain pine beetle this is happening… mostly at a five-year cycle,” Snetsinger said. …Early on in the talk, he addressed the concern of government interference with AAC determinations. “I never experienced a situation where elected politicians tried to influence my decisions,” he said. Edmonton – The Alberta Forest Products Association is proud to announce the launch of its #WomenInForestry social media campaign. 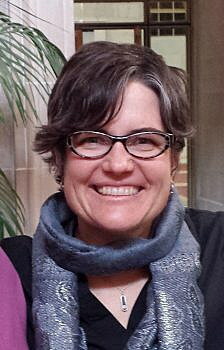 The campaign will profile five dedicated women, who have chosen diverse careers in the forest industry. Join us as we meet a forestry student, a CEO, a mill manager, a power engineer, and a reliability engineer. “We are honoured to celebrate the contributions of women to Alberta’s forest industry,” said AFPA President and CEO Paul Whittaker. “Over the past decade, the number of women choosing forestry careers has increased substantially. This means that not only is our workforce stronger today, but the workforce of tomorrow will also be stronger. Today’s women leaders serve as role models for the leaders of tomorrow.” The campaign will feature five video profiles. …Videos and other content can be found on the AFPA’s Twitter and Facebook pages, as well as the Association’s website. Elphinstone Logging Focus (ELF) is trying to put pressure on BC Timber Sales (BCTS) to further delay auctioning the cutblock A87126 in the Dakota Valley on Mount Elphinstone. …the block was slated for logging in 2020. However, ELF said it believes the cutblock could be posted for auction as early as this April. …ELF said the area deserves protection because it’s home to bear denning areas and red and yellow cedars that the group claims could be among the oldest living trees in Canada. …ELF said it wants to see the area set it aside as an Old Growth Management Area, as it meets the monumental trees classification. On January 28, 2019, the Honourable Dwight Ball, Premier of Newfoundland and Labrador, joined by members of the Newfoundland and Labrador Forest Industry Association (NLFIA), Ministers of the Cabinet Committee on Jobs; Indigenous governments and organizations; forest sector stakeholders; community, academic, and business leaders; and students, launched the Forestry Sector Work Plan, which includes 32 actions to diversify the forest industry in Newfoundland and Labrador, support economic growth, and foster private sector job creation. The announcement was made at Memorial University’s Grenfell Campus in Corner Brook. The Provincial Government and its partners share The Way Forward commitment to increase timber allocations and harvest levels by 20 per cent by 2020. …As part of The Way Forward vision, the Provincial Government is directly engaging the forestry, aquaculture, agriculture, and technology sectors to address industry needs in ways that result in new employment and economic activity throughout Newfoundland and Labrador. Park rangers are worrying about the lasting effects from the recent shutdown, particularly when it comes to preparations for the next fire season. The longest shutdown in U.S. history ended on Friday after 35 days, and it coincided with the crucial fire season planning period for many national parks and forests. The delay in preparation — hiring seasonal staff, training rangers, securing helicopters and water-dropping planes, and clearing fire-feeding brush — is seen by some as a major setback to the affected agencies. …Some officials are worried that another delay could be on the horizon, with the current spending bill… set to expire on Feb. 15 unless a spending deal is reached. “There is not a lot of faith that three weeks of dealing will solve anything,” said one California law enforcement ranger. As the state plans to increase logging on national forests, the Montana Department of Natural Resources and Conservation wants more money to prepare and manage timber sales. On Monday, a legislative appropriations committee heard some of the reasons why the DNRC is requesting about $7 million per year more than it did in the 2017 session. The main reason, said executive director John Tubbs, is to hire more employees, partly to make up for attrition and partly to prepare to start logging national forests under a Farm Bill program. …In particular, Tubbs wants enough money for state forester Sonya Germann to hire 6.5 people to help expedite timber sales and contracting on national forests as authorized under the Good Neighbor Authority program created by the 2014 Farm Bill. Germann also needs extra money for the program’s operating expenses. While closing the forest last year had a major impact on local businesses, forest managers say it had a huge impact on how much land burned. Or didn’t burn. In 2018, more than 165,000 acres burned across Arizona, as compared to the previous year, where fires charred nearly 420,000 acres, according to the Arizona Department of Forestry and Fire Management’s Interagency Dispatch Center. That made it one of the best years in terms of wildfires in Arizona while California suffered the most devastating year in its history. …Last year, there were 2,000 fires on private, state, federal, and tribal lands in Arizona. In 2017, there were 2,205 wildfires reported. Humans started 68 percent of the fires last year. That is slightly lower than 2017 when 72 percent of Arizona’s fires were human-caused. SACRAMENTO, Calif. – California wildland managers said that they want to speed up logging and prescribed burns designed to slow wildfires that have devastated communities in recent years. After the deadliest and most destructive blazes in state history, officials are… starting anew on creating a single environmental review process to cover projects on private land, such as cutting back dense stands of trees and setting controlled fires to burn out thick brush. …The goal of the one-step process is to double the state’s forest management efforts to a half-million acres of non-federal land each year. …The new system is slated to be ready within a year. …Environmental groups are already predicting lawsuits over the new policy. …CalFire, the California Conservation Corps, and private landowners like logging and biofuel companies already do forest management projects. But each one requires its own environmental review. Pay decent rates and the forestry workers will come, a silviculture contractor says, as the industry struggles to attract staff to meet the Government’s one billion trees programme. Bay of Plenty silviculture contractor Simon Geddes said rates for those planting trees were not $400 a day, and workers were barely paid minimum wage. The average worker planted 600 trees a day, receiving 18 cents to 25c per tree, Geddes said. 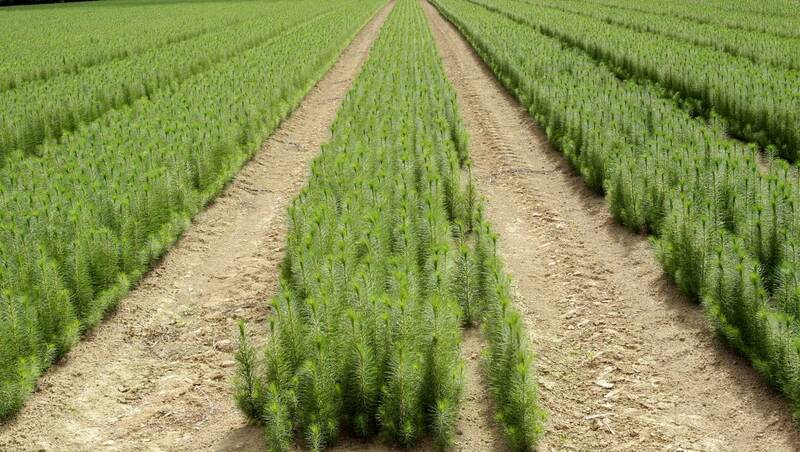 “The highest I have paid a tree planter is 30c a tree, because of the rates we get from the forestry companies. The 50c to 60c a tree goes to the contractor.” He said the solution to finding tree-planters was an increase in pay for everyone, and that industry wages failed to recognise the skill and work required for the job. …Forest Industry Contractors Association chief executive Prue Younger said it was making efforts to improve employment conditions as well as pay rates for silviculture workers. …Without a doubt, both of these disasters were exacerbated by climate change. But what’s really scary about PG&E and Hurricane Florence is that they are really just the tip of the iceberg when it comes to the potential economic damage to our energy and water supplies. Each of these events should be a clarion call to investors in Fortune 500 companies that they need to be considering the resiliency of their investments in the face of climate change risk. …The fact is, our large-scale industries have not invested in their infrastructure in a way that’s going to keep pace with climate change. …So how do we get the improvements we need to ensure that our economy is more insulated from shocks like forest fires and floods as climate change worsens. Part of the answer may lie in addressing these issues on a smaller scale. Montana’s forests used to have so many trees that they cleaned the air of carbon dioxide. In the 1990s, they absorbed about 20 million tons of CO2 per year. Now, they are sending millions of tons of the climate-warming gas back into the atmosphere. The forests that once helped blunt the impact of climate change are now contributing to it. The Post’s Zoeann Murphy and Chris Mooney describe that reversal as part of an in-depth video series on how rising temperatures are disrupting lives across the United States. The series, published Tuesday, captures how in eastern North Carolina, storm surges during hurricanes are inundating more homes as sea levels rise; how off the coast of Rhode Island, lobstermen are hauling in lighter loads as the crustaceans move north; and how in California, hotter and drier summers are fueling bigger wildfires. In Montana, the problem in part is beetles. The UK Government will not meet its climate change targets without a significant increase in tree planting and far greater use of timber in construction. That was the clear message from Lord Deben, Chair of the Committee on Climate Change (CCC), when he addressed the All-Party Parliamentary Group on Forestry (APPGF). He told the APPGF this was a time of enormous opportunity for forestry and wood, especially as more land traditionally used for agriculture would become unprofitable under likely post-Brexit changes to farm subsidies – but he warned the industry there was hard work ahead to seize the opportunities. “There is a context where forestry is in a very strong position but the coda is this; ministers want to have industries which are united in what they ask for. This is a crucial part of what the forestry industry has got to do and includes reaching out to the agricultural community. Fighting climate change is the challenge of the century. …Researchers think one weapon to use is something that could actually make cities much more beautiful and pleasant: this weapon is nature itself. 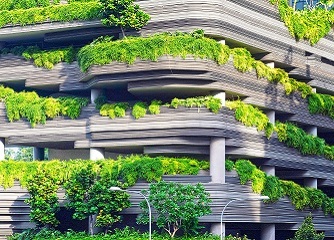 The so-called “nature-based solutions” (NBS), such as vertical gardens or green roofs, are being studied in many cities to tackle environmental and societal issues. …According to Italian architect Elena Farnè “trees are the only technology capable of both mitigation and adaptation. …The researchers found, for example, that rows of continuous and contiguous trees work better than an isolated tree: they act in a way that is greater than the sum of their parts, as if they were almost twice as many. Another interesting aspect is that trees actually create urban breezes, which can be managed just by putting the right trees in the right places in the right order.